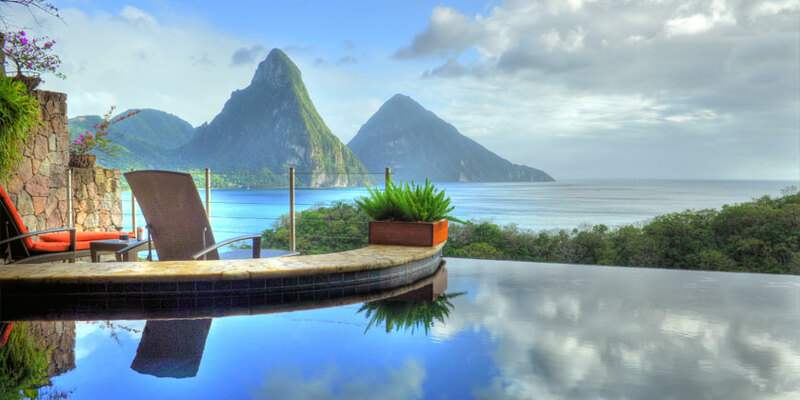 Saint Lucia is an Eastern Caribbean island nation with a pair of dramatically tapered mountains, the Pitons, on its west coast. Its coast is home to volcanic beaches, reef-diving sites, luxury resorts, and fishing villages. Trails in the interior rainforest lead to waterfalls like the 15m-high Toraille, which pours over a cliff into a garden. The capital, Castries, is a popular cruise port. It covers a land area of 617 km2 (238 square miles) and reported a population of 165 595. The biggest economy driver in St Lucia is definitely tourism, which is accounted for over 80% of GDP. If you want to go with the first option and contribute to National Economic Fund (NEF), you will need to donate at least 100 000$ USD. This is the price for one person. If you are applying with the spouse then you will need to donate 165 000$, for a family of up to four members it will be 190 000$, for families of more than four members you will need to donate 25 000$ for each additional dependent. Processing fees will be 2000$ for the main applicant and 1000$ for each additional dependent. Due diligence fees will cost you 7500$ for the single applicant, another 7500$ for the spouse and 5000$ for each dependent above the age of 16. If you would rather invest into real estate then you will need to purchase property for at least 300 000$. You will need to keep this property for at least 5 years after citizenship has been granted to you. Processing and Due diligence fees will be the same as in the previous case, but on top of this, you will need to pay Government fees. These fees are 50 000$ for the main applicant, another 35 000$ for the spouse, for each dependent of 18 years or above it will be 35 000$ and for each dependent younger than 18 it will cost 25 000$. Another option you have is investing in government bonds. These bonds will need to be held for at least five years and you will not be able to get interest from them. If the main applicant is applying alone then they will need to invest 500 000$ in government bonds, 535 000$ if applying with the spouse, for a family of up to four members investment needs to be 550 000$ and another 25 000$ for each additional dependent. On top of this, you will need to pay Processing and Due diligence fees that will be the same as in the first case. Last option is to invest in pre-approved enterprise project. This investment must create at least 3 permanent jobs. Joint investments are allowed, although each applicant must contribute at least 1 million$ and the entire project must be valued at 6 million $ and create at least 6 permanent jobs. Investment must be at least 3 500 000$ for the main applicant. In case of more than one applicant (multiple investors), it needs to be at least 6 000 000$ and each applicant needs to contribute at least 1 000 000$. Processing and Due diligence fees have not been included in the price, and they will cost as in previous cases. Once you obtained your citizenship you will keep it for life. St Lucia allows dual citizenship, so you will be able to keep your original one as well. Processing is very fast, it usually takes no longer than three months. This program has more investment options to choose from than similar programs, so it might be a better option for business people. Also, there is no tax on your worldwide income. No residency or travel requirements, except that the Oath of Allegiance must be taken in Saint Lucia or before any Saint Lucian Embassy, High Commission, or Consulate. As of 1 January 2018, Saint Lucian citizens had visa-free travel to 130 countries and territories, ranking the St Lucian passport 34th in terms of travel freedom according to the Henley Passport Index.